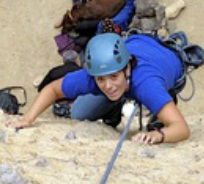 Katie Cartier, originally from Massachusetts, has spent the last 11 years working facilitating expeditions and outdoor programming for youth and adults in a variety of environments for organizations including the YMCA and Outward Bound. After studying business in college, she spent two years serving with AmeriCorps NCCC providing community service to non-profits in the mid-Atlantic and Southeast regions. Not being able to give up the positive challenge provided by living and working with a team, Katie found opportunities to live, work, and teach with the rivers and trails of the Southeast US as her classroom. She enjoys supporting the learning experiences for groups of all types, including teens, leadership groups, parents and professionals. When she isn't working, she can be found reading a book, eating ice cream, and adventuring in the mountains. Justin grew up in snowy northern Wisconsin, and has enjoyed cold weather and wild places ever since. He has worked for Outward Bound since 2007, both as an instructor and staff trainer. He leads dog sledding, canoeing, and sea kayak expeditions. Justin enjoys teaching wilderness medicine because it combines his passion for human physiology and medicine with his extensive experience in the backcountry. When not working, Justin spends his time exploring Lake Superior, skiing, fly fishing, climbing, and learning tricks from his dog Bandit. Mariah was exposed to wilderness travel at the young age of six weeks when she took her first trip into the Boundary Waters Canoe Area Wilderness. Since then she has embraced many adventures including bike touring with her family, dogsledding on Hudson Bay and most recently circumnavigating Lake Superior by sea kayak. Mariah graduated from Northland College with a degree in Art and Environmental Science. 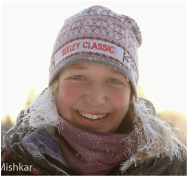 She currently works at the Voyageur Outward Bound School in Ely, Minnesota, where she leads wilderness expeditions by canoe, kayak, dogsled and skis. Mariah is a wilderness EMT and teaches wilderness medicine because she believes that everyone should have basic medical training so they can be of service to others. When she isn't working Mariah enjoys running, mountain biking, hanging out with her dog Bandit and sleeping in a heated building. Caitlin grew up hiking, camping, and skiing in the North Cascade mountains outside of Seattle. While at Scripps College, she led student backpacking and climbing trips for students in Utah, Arizona, and California and taught wilderness skills workshops. During college, Caitlin also spent one summer working with Search and Rescue in Yosemite National Park, and another summer assisting with high altitude and exercise science research in British Colombia. After graduating with a degree in biochemistry, Caitlin moved to Denver, CO and currently works as an ER medical scribe and is planning to apply to medical school. Caitlin teaches wilderness medicine because she believes in empowering others to be prepared in the backcountry. Outside of work, Caitlin spends time rock climbing, running, writing, and trying new bread recipes. Ben Hoffman grew up in Massachusetts and moved around the world until he found his most recent home in the Midwest. He received a degree in Wildlife Biology with minors in Fisheries and Rangeland Ecology from Colorado State University, which led to his discovery of the environment through recreation and stewardship. He has been an active outdoor professional for the last 11 years. Ben currently resides in Omaha, Nebraska where he is the Program Director for an Outward Bound program designed to focus on the critical, unmet needs of Omaha youth. The program works primarily with young men beginning in fifth grade, with the goal of helping them grow into healthy, educated, employed contributors to the community. Ben is a Wilderness EMT and also holds an Outdoor Emergency Care certification. Ben teaches wilderness medicine because he believes in the positive impact that it can have on a person's life by empowering people to respond in both front and backcountry settings. Martin grew up in Colorado where he spent much of his youth hunting, fishing, prospecting and panning for gold. 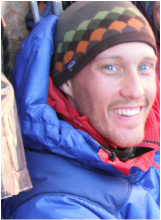 He became invested in wilderness medicine after volunteering at the 2006 Primal Quest Utah adventure race, and shortly thereafter became a WEMT and an EMT-B. After receiving both an associate’s and master’s degree in nursing, he worked as an RN in an ICU in Austin, Texas. Currently, Martin works as a Clinical Assistant Professor at the Texas A&M College of Nursing, where one his main goals is to introduce student nurses to wilderness medicine and disaster medicine/management/preparedness. Martin is a current member of the Wilderness Medical Society and the National Disaster Life Support Foundation. Russell grew up cultivating a passion for the outdoors in the Blue Ridge Mountains of North Carolina. After high school he flew away to Alaska for college. What followed was a whirlwind of adventure working in the outdoor industry. Soon enough, on the job training introduced him to wilderness medicine for which he quickly developed a passion and furthered his medical knowledge by becoming a Paramedic and working in remote parts of the Arctic. Flash forward and now Russell is found traveling the lower 48 in his van as a critical care travel nurse, spending his free time skiing, climbing, and boating as much as possible. Nathan grew up in the mossy Pacific Northwest and has lived in the shadow of Mount Rainier for most of his life. After graduating with bachelor’s degrees in Geosciences and Environmental Studies he fled south trying to find that the ever-elusive, “endless summer.” After a year in Central America working on an organic farm, he returned to the US finding a happy medium in sunny California. 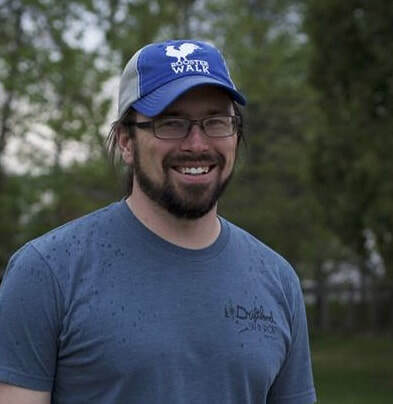 Nathan taught outdoor and environmental education programs for various elementary schools the spring and fall seasons. When California grew a bit too hot, he returned to Seattle and instructed outdoor leadership expeditions with youth for BOLD & GOLD. Nathan is currently a WEMT and works as an EMT aboard an ambulance in south Seattle. He has been an avid trail runner and rock climber for the past 7 years and enjoys teaching and guiding others in high places. Nathan believes that wilderness medicine can empower individuals to enjoy wild places with a healthy balance of confidence and humility. Neal was born and raised in the Pacific Northwest, where he developed a great appreciation for the outdoors. He received a degree in Molecular Biology from Western Washington University where he conducted research in ecological genetics. He is a wilderness EMT and holds a US Coast Guard civilian maritime medical certification. Neal has experience in wildland firefighting and maritime healthcare. He draws on clinical experience from volunteer work at a hospital in Port-au-Prince, Haiti. He is an avid fly angler and enjoys hunting, snowshoeing, woodworking, and backpacking with his dog Maui. Robb’s passion for the outdoors was fostered in the Appalachian Mountains around his hometown in southwest Virginia. From an early age he was introduced to hiking on the AT, canoeing on the James, climbing up Stone Mountain NC, and skiing in Wild and Wonderful West Virginia. An educator by training and trade, Robb has taught public high school as well as in private schools for at risk youth. Teaching wilderness medicine is a blend of three things he cares deeply about; teaching, the outdoors, and assisting someone in a time of need. As a member of the National Ski patrol since 2006, Robb now patrols at Schweitzer. In his free time Robb can be found hunting fresh powder in winter, then biking and hiking with his dogs Seneca and Selle or working on home improvement projects the rest of the year.